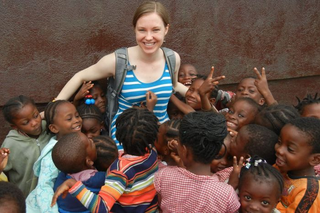 "Is 'voluntourism' the new colonialism?" This new article from ABC Austrailia perfectly sums up why the idea of "volunteer vacations" (often called Alternative Spring Break in the US) have always made me so uncomfortable. I have included an excerpt but I highly suggest you read the entire article. Papi thinks the positive aspects of volunteer travel are hindered when a group of travellers believes it's their responsibility to fix the lives and communities of another. She says that young travellers have good intentions, but what's missing is a humility and thoughtfulness that acknowledges that they don't know anything about the culture and language of their host country, and what's been tried there before or who's leading the changes.